Immunizing (or vaccinating) your pet against disease is one of the best tools of preventative medicine. By vaccinating, we hope to increase the length and quality of your pet?s life. We feel vaccinating is in the best interest of the general public as well because some of the diseases can be transmitted to humans. Ensuring that all puppies and kittens are fully immunized against diseases and then continue to receive annual boosters as adults are the easiest and most economical things you can do for your pet. Each pet is vaccinated according to its risk for disease and its lifestyle. Puppies begin their vaccinations as early as 6-8 weeks of age and are boostered every three to four weeks through a series of three to four total immunizations. Puppies, kittens and ferrets must be at least 16 weeks of age to receive the Rabies vaccine. Dogs are commonly vaccinated against Distemper, Hepatitis, Leptospirosis, Parainfluenza, Parvovirus, Bordetella, Lyme, and Rabies. Kittens can begin the vaccination series as early as 7 weeks of age. We recommend that all cat owners have their new feline friend tested for Feline Leukemia and Feline Immunodeficiency Virus (FIV, also known as Feline AIDS) prior to vaccinations and prior to introducing them to other cats. Indoor cats are vaccinated for Feline Rhinotracheitis, Calicivirus, Panleukopenia (Feline Distemper), and Rabies. Outdoor cats receive the same vaccines but also need to be vaccinated for Feline Leukemia and possibly FIV. Cats gets heartworms also! A yearly test and preventive is recommended. Ferrets also need to be immunized for Distemper and Rabies. Intestinal parasites such as roundworms, hookworms, whipworms, tapeworms, giardia and coccidia are very commonly found in young and outdoor pets. We recommend intestinal parasite examination every six months on all pets and de-worming if the pet is found to have intestinal parasites. Heartworm disease is a particularly serious problem in our geographic area due to the warm weather and large number of mosquitoes. If a dog has contracted heartworm disease, treatment is expensive and risky for the patient. There is no treatment available for cats with the disease. 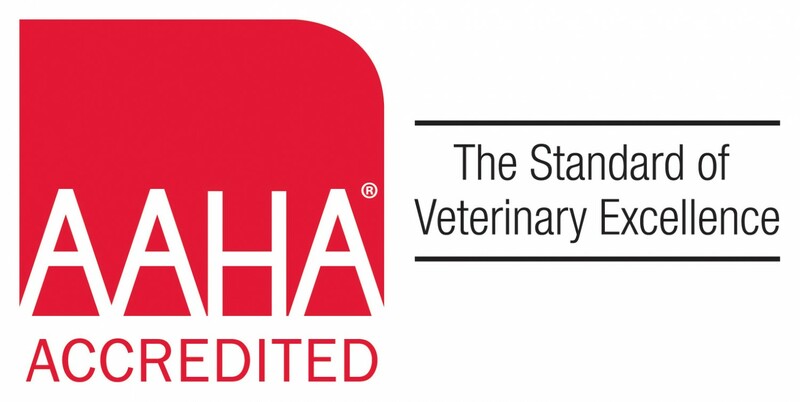 Because heartworms are potentially life threatening, we recommend dogs have a yearly heartworm test and both dogs and cats be on heartworm preventative. Heartworm preventatives come in a variety of forms: oral and topical depending on the species. Fleas and ticks not only make your pet uncomfortable, but they are also vectors of other diseases that can be transmitted to your dog or cat. Fleas and ticks are also common problems in this area that can easily be avoided with topical flea prevention. Feeding your pet for proper diet is just as important as your diet is for you. Feed the best quality diet possible! Cheaper diets are lower in qualiy and are just like you eating "fast food" for breakfast, lunch and dinner!" Feed the proper amounts and for the right life stage (puppy/kitten versus adult or senior). If you have any questions, let us know!